After the Interpol issued a red-corner notice (RCN) against a close aide of diamantaire fugitive Nirav Modi, Mihir Bhansali, it has issued another notice against Purvi Modi, who is a Belgian national and the sister of Nirav Modi. The RCN has been issued on the request of the Enforcement Directorate to the Interpol, as the ED seeks to interrogate her on the alleged charges of 'money laundering'. India has overtaken Japan to hold the second largest regional share of Asia and Pacific region's GDP, based on purchasing power parity, with the country's share going up from 14.6 per cent in 2000 to 17.3 per cent in 2017, an Asian Development Bank (ADB) report said . China accounted for 42.7 per cent of the region's total output at purchasing power parity (PPP) in 2017 compared to 25.1 per cent in 2000. India held the next largest regional share of GDP at PPP in 2017 at 17.3 per cent during the year, up from 14.6 per cent in 2000. Japan moved to the third spot, with a 10.2 per cent share in 2017, down from 23.1 per cent in 2000. As the inspection progresses into six companies linked to ICICI Bank controversy, the Corporate Affairs Ministry will question Deepak Kochhar, husband of the bank's chief Chanda Kochhar, later this month, a senior official said. Deepak Kochhar is the Founder and CEO of NuPower Group, as per its website. Alleged lapses involving ICICI Bank's MD and CEO Chanda Kochhar, her husband and other family members, with respect to a loan extended to Videocon Industries by the lender have come under the regulatory. 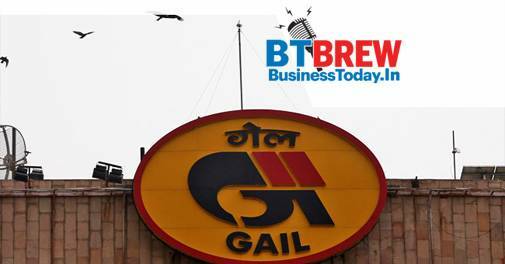 Gas firm GAIL (INDIA) Ltd aims to add 5,500 km gas pipelines to boost its capacity by about 50 percent in the next 3 years, its chairman has said as reported by Reuters. India wants to raise share of natural gas in its energy mix to 15 percent in next few years from about 6.5 percent as the world's third-biggest oil importer and consumer wants to cut its massive import bill and reduce its carbon footprint. Through the rest of 2018, the world's most valuable public company Apple will launch three new iPhones, revamped iPad Pros, Apple Watches with larger screens, a new entry-level laptop with a sharper screen, a pro-focused Mac mini desktop computer and new accessories like the AirPower wireless charger as reported by Mint. The product launches will begin from tomorrow at the Steve Jobs Theatre in California. The company plans to introduce new upgraded Apple Watches with larger screens that show the user more information. Residents of Delhi can now renew their driving licences or get their marriage registration done from home. Delhi government on Monday launched an ambitious scheme for doorstep delivery of 40 public services. The Aam Aadmi Party (AAP) government said that until 6pm on the first day of the launch of the service, 369 appointments were fixed and 2,728 calls connected. The scheme is being implemented at a cost of ?12 crore, and also aims at curbing corruption as reported by Mint.